The Armada Collection Maxi White Storage Bed consists of 9 drawers ideal for storing clothes or bedding. This bed is perfect for bedroom's that may be short on space. Kids will love the height on this bed. 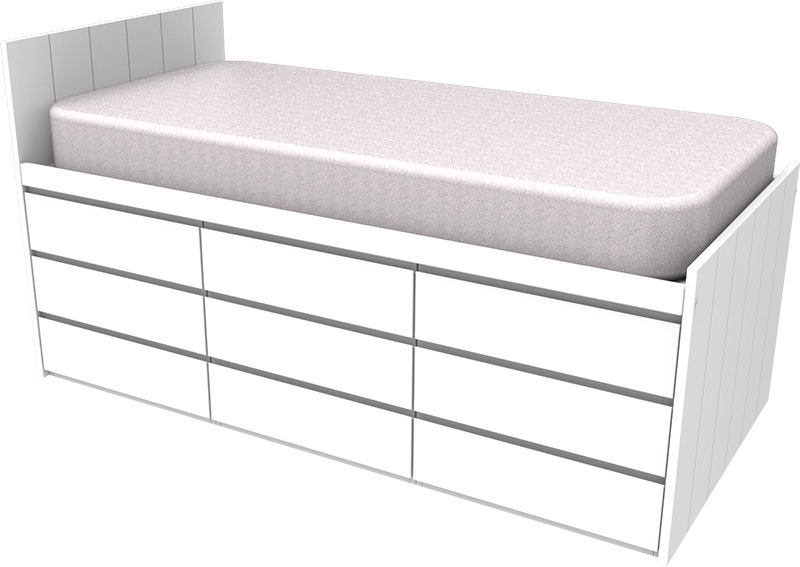 This cabin bed is also available in 4 different colours, meaning your little one can really personalise their bedroom. Armada Collection Maximum Storage White Cabin Bed. A maximum storage 9 drawer bed. All components of this bed are made from moisture resistant composite board. The drawers are set on metal easy glide runners, a soft close option is also available. All drawers have hidden handles ensuring a smooth and sleek finish. Please note colours may vary depending on screen resolution. Please request sample colours from our team to view an accurate representation. Also available in Starlight Pink, Elephant Grey and Midnight Blue.